If you’ve looking for a last second side for tomorrow, you’re in the right place! This can be prepared last minute (or in advance and reheated), and doesn’t require a ton of effort. What it does require, though, is a huge pot! My dutch oven is 4.75 quarts, and was only juuust big enough, so to be sure to use something large! I was kind of not thrilled with the color of the polenta, as I think the mushrooms turn it a bit grey, but the chicken stock and sausage make sure that the taste is excellent, and one pot dishes are always much appreciated! This is the one I could find. It mentioned holidays, so is obviously appropriate. 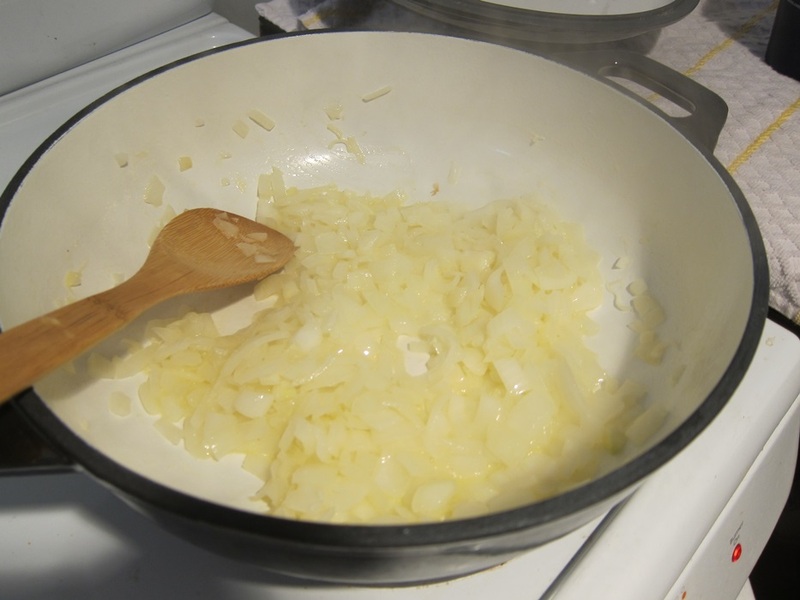 Melt the butter in a large pot or dutch oven over medium heat and saute the onion and pepper for 5 minutes. Add the sausage and cook until cooked through. 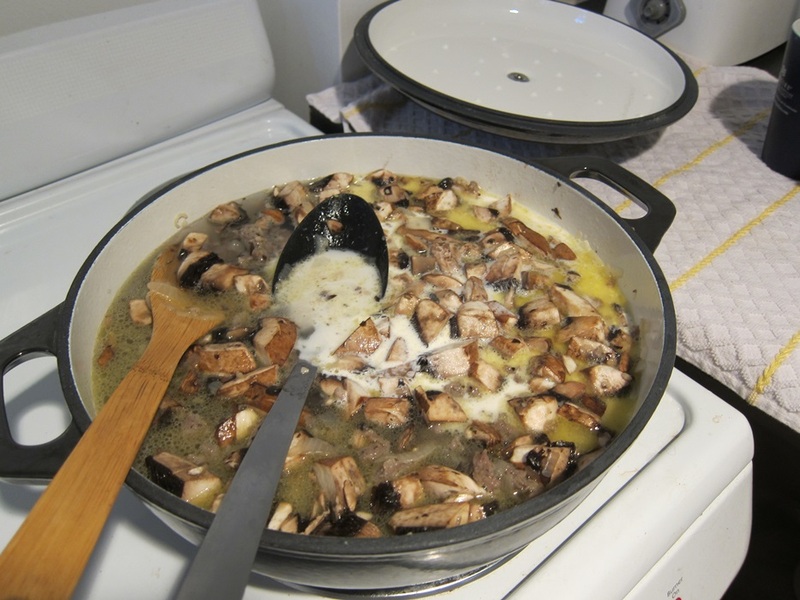 Add the mushrooms and garlic and cook an additional minute. 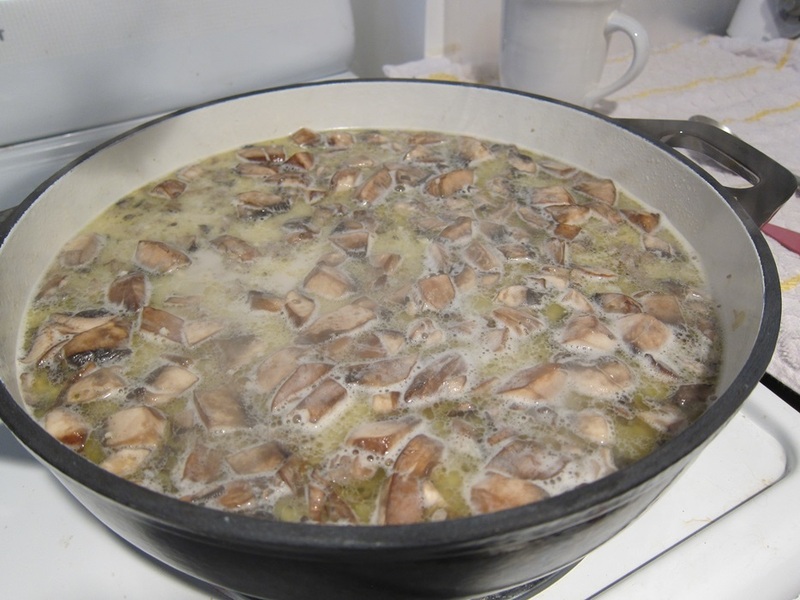 Add the cream, stock, and water and bring to a simmer. Oy, stir more, stir more! 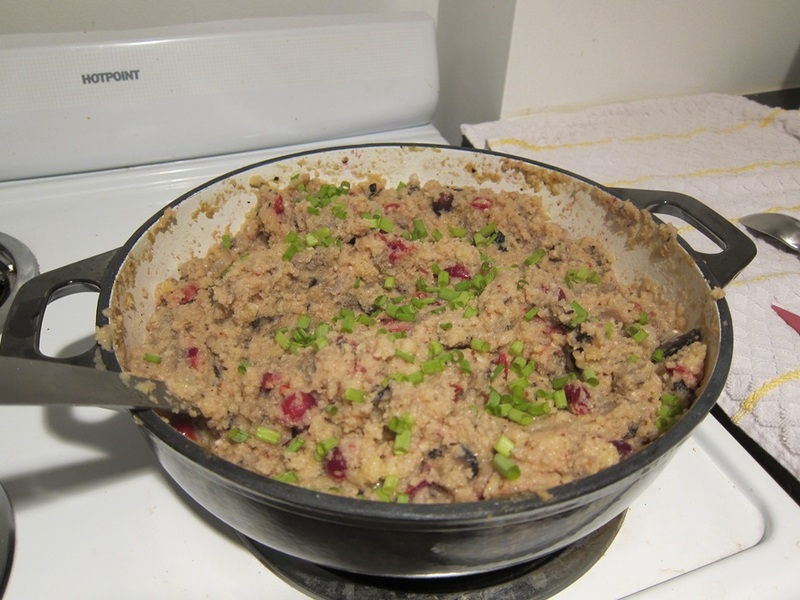 Add the cranberries and cornmeal and stir thoroughly to break up any clumps of cornmeal. The cornmeal does tend to clump and keep patches that are dry inside way more than you’d expect, so do stir quite a bit! Reduce the heat to low and stir until the cornmeal is tender, anywhere from a few up to 15 minutes depending on the cornmeal. Vigorous stirring is difficult in such a full dish! Stir in the cheese and add salt and pepper to taste. Garnish with your herbs. I would have used parsley but the stuff in the store looked like it was in real rough shape, and I have a near endless amount of green onions growing at home, so they won out. It’s got fruit, it’s got vegetables, some dairy and meat and plenty of grain too… it’s a wonderfood?! From The Food In My Beard. 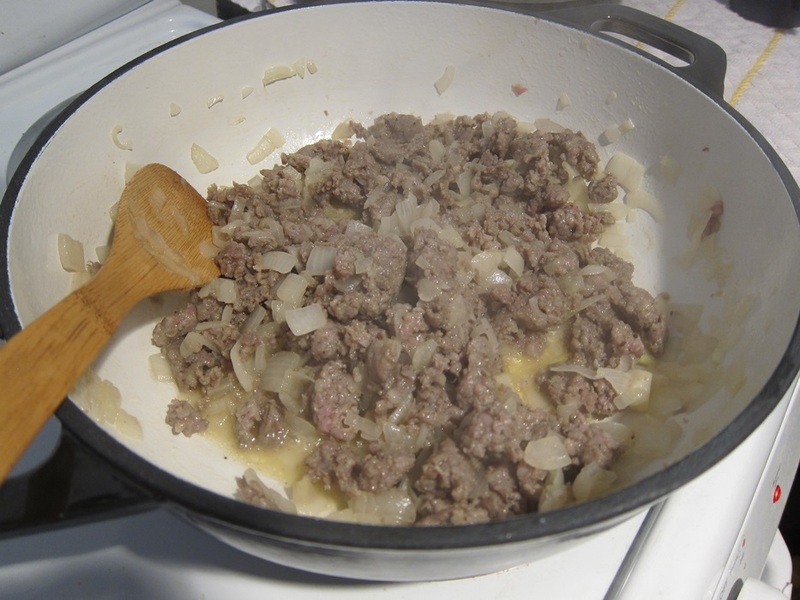 Melt the butter in a large pot or dutch oven over medium heat and saute the onion and pepper for 5 minutes. 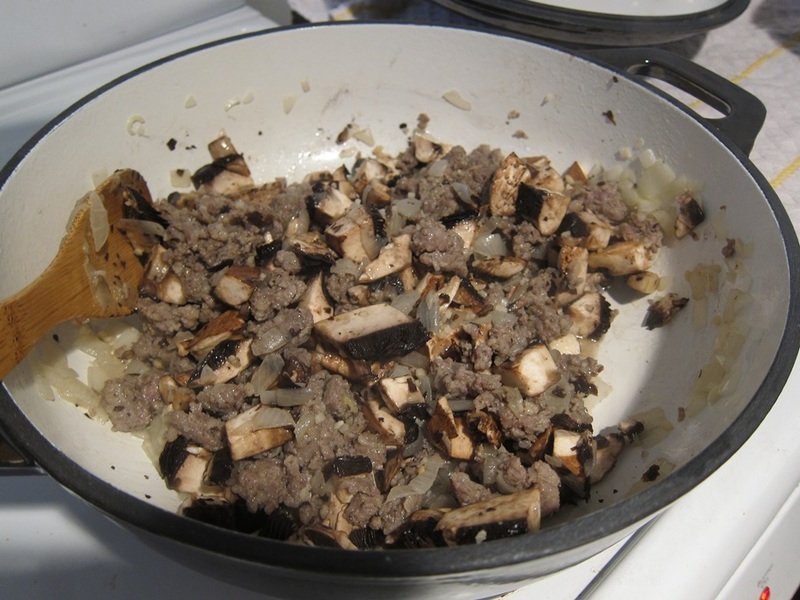 Add the sausage and cook until cooked through, then add the mushrooms and garlic and cook an additional minute. Add the cream, stock, and water and bring to a simmer. 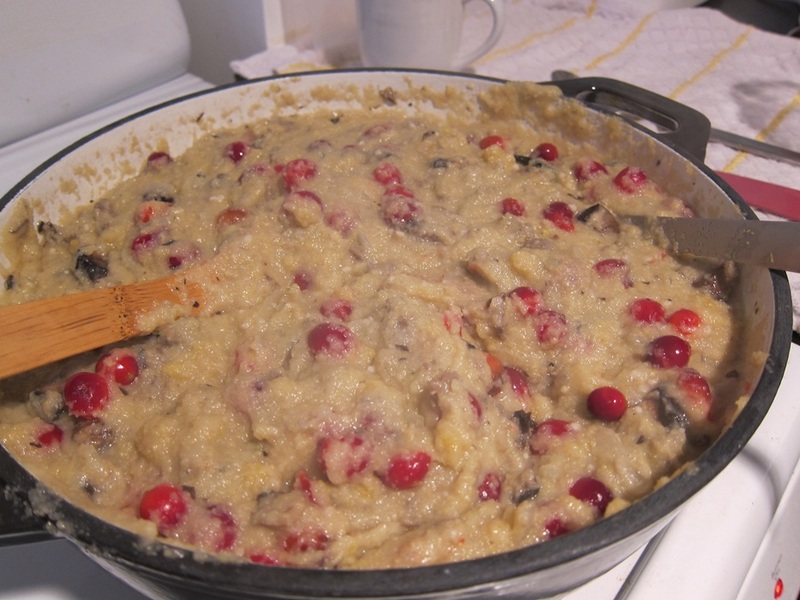 Add the cranberries and cornmeal and stir thoroughly to break up any clumps of cornmeal. Reduce the heat to low and stir until the cornmeal is tender, anywhere from a few up to 15 minutes depending on the cornmeal. Stir in the cheese and add salt and pepper to taste. Garnish with your herbs. 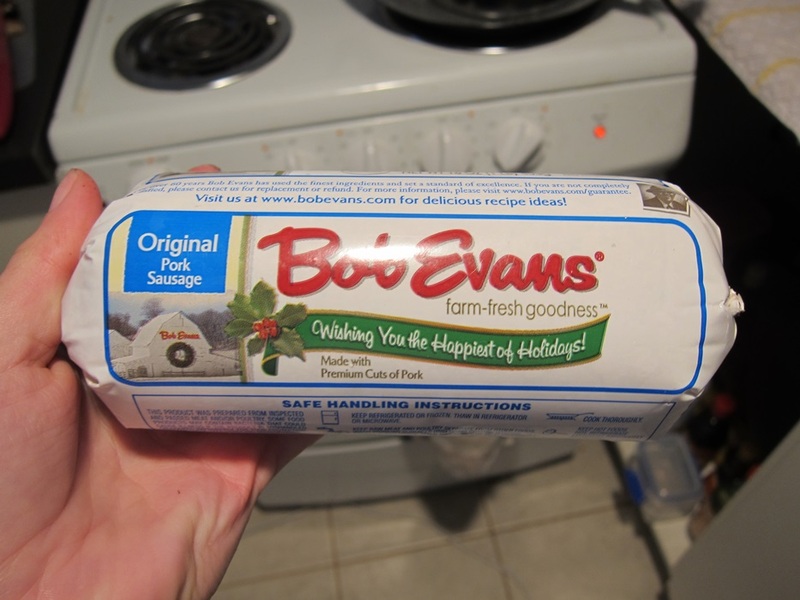 This entry was posted in Dinner, sides and tagged Cornbread, polenta, stuffing, Thanksgiving. Bookmark the permalink.